When you are a student with a busy schedule, you might find it difficult to carve out time for a part-time job. Despite your primary obligations as a student, there are many benefits to working while you are a student. Work experience can be listed on a CV in order to validate your skills and assets. What’s more, you can garner a list of credible references to support you as you seek job and career advancement. Below is a list of four jobs you can get while still at school. Retail sales jobs offer flexible scheduling and a wealth of experiences for student employees that can be added to a CV. By working in retail sales, you will get hands-on experience working with a diverse array of customers. Consequently, you will develop your interpersonal and communication skills. You will also familiarise yourself with business concepts, including maintaining store inventory, promoting sales for customers, and maintaining cash in a register. Working in retail allows you the option to request the number of hours you would like to work per week, affording yourself time to focus on your studies while earning extra cash. Offering childcare or pet care is an excellent option for students looking to work only a few hours a week. If you enjoy working with children or taking care of animals, this may be a great way to make some extra money. Serving as a caretaker will allow you to gain the trust of families living within your community. If you offer great services, families that you care for may recommend your services to others. 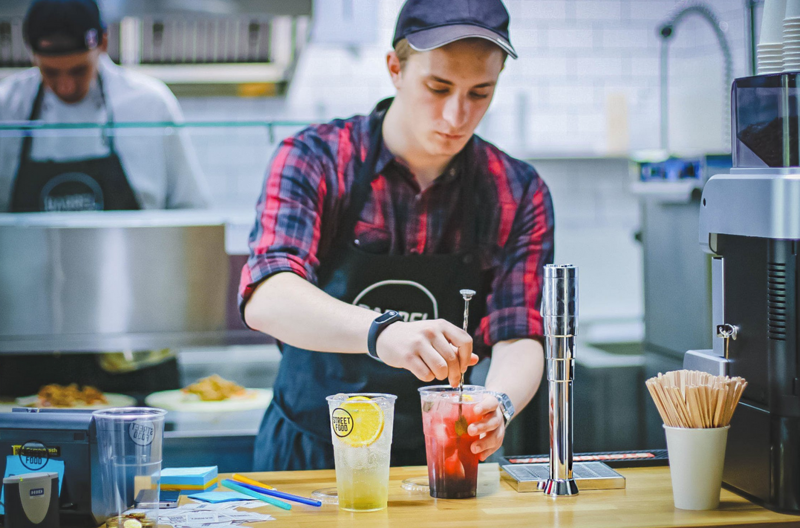 Working in a restaurant is another great option for students looking to make some extra cash on the side. You may be able to work as a host or wait tables. As a host, you will greet and offer a farewell to customers, take reservations, and answer phone calls. Waiters must have great organisational and interpersonal skills. As a waiter, you will take orders and be mindful of specific requests of customers. You will also be responsible for following up with customers and meeting any of their needs. You could also make tips, allowing you to easily pocket some extra money for offering good service. When you are still in school, one of the best things you can do to earn some extra cash is to offer tutoring sessions. If you are skilled in a specific discipline, you can set your own rates, and you can help other students who are struggling in an academic field that you enjoy. You might even be able to ignite a passion in others for the subject you are tutoring. Having a job while pursuing your education doesn’t have to cause unnecessary stress. There are plenty of jobs you can pursue that will provide you with the money you need and also add to your skill set. Do you know of other jobs you can get while still at school? Let us know some more ideas by tweeting them to @CareerCamel.